Just click on the banner on the right or click HERE to go to the giveaway blogpost to enter. Since there are so many entries already, I decided to throw in an extra gift. 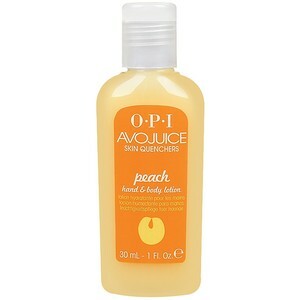 The second gift would be the most talked about OPI Avojuice hand and body lotion in Peach. The first winner will get the NYX eyeshadow palette (obviously!) and then I will pick the second winner for the OPI Avojuice. C'mon!!! Help me get 50 followers and you will stand a chance to win those beauty products. Isn't it fair?